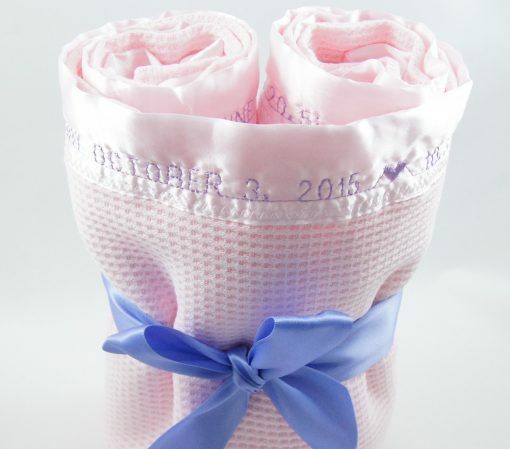 Generations of babies have been snuggling with these cotton thermal baby blankets. 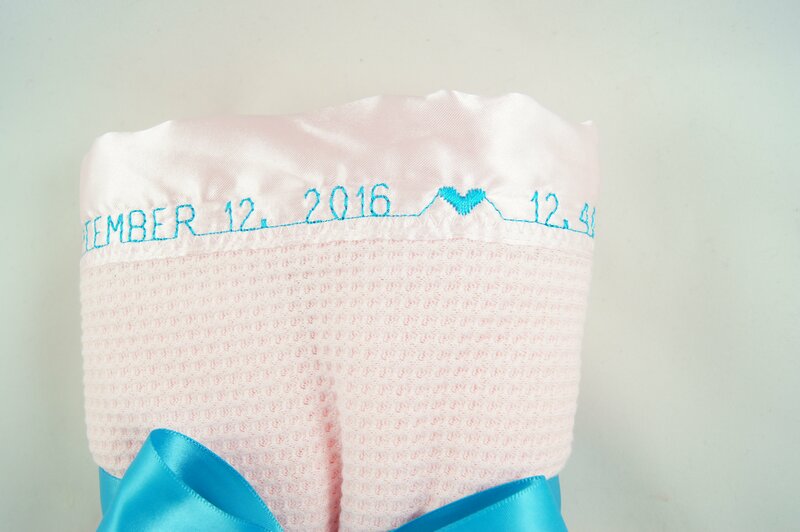 Let us tell your baby’s story on this personalized baby blanket. 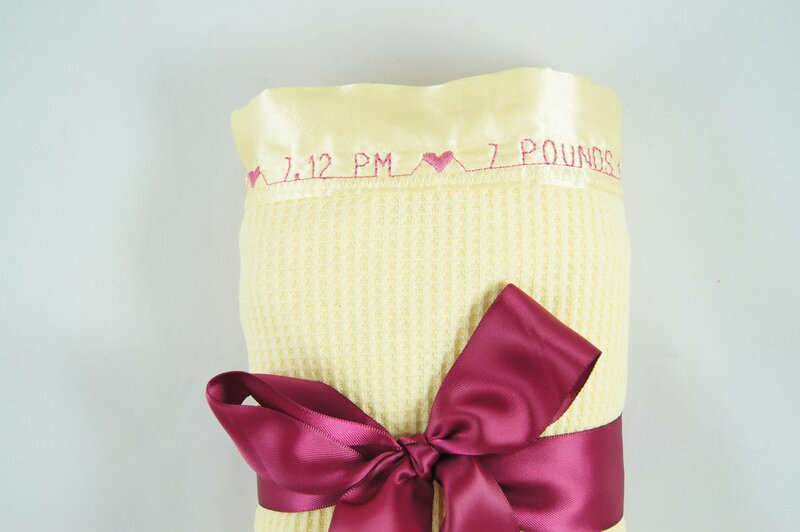 This baby blanket is a single layer of cotton thermal with a matching satin border. 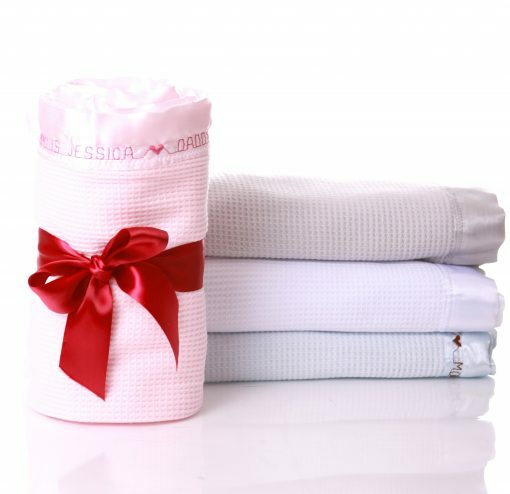 Lightweight, breathable cotton thermal fabric that gets softer and softer with every wash.
Care Instructions: Machine wash warm. Do not use bleach or detergents containing bleach. Tumble-dry low heat. 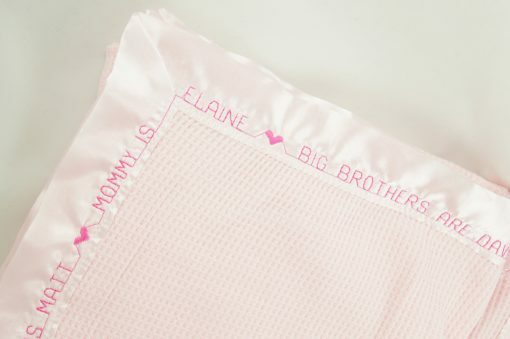 Embroidery Color: choose from the drop down menu. Wording: Blanket reads: Name, Baptized into Christ (date) at (church) in (location). 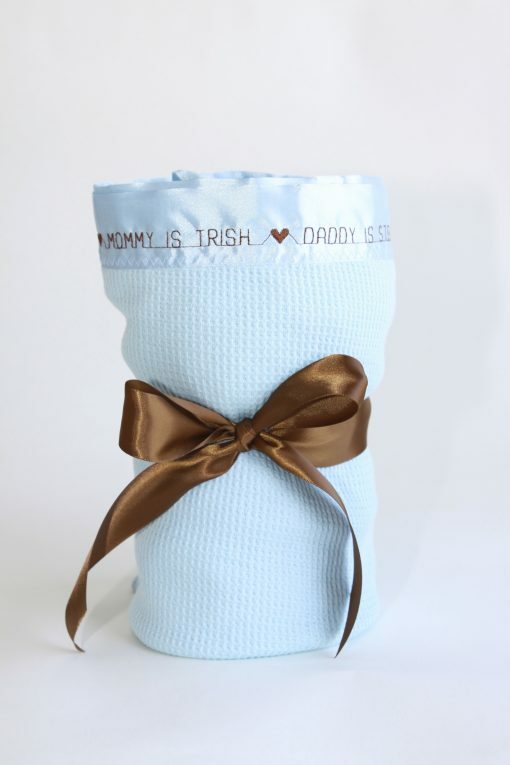 Godparents are (names). God in heaven hear my prayer and keep me in thy loving care. Be my guide in all I do and bless all those who love me too. Amen. God Bless (name). If you choose to you can add birth details like date, weight, length, mom and dad, siblings. As always, if you have a special blessing or quote, we can use that instead. 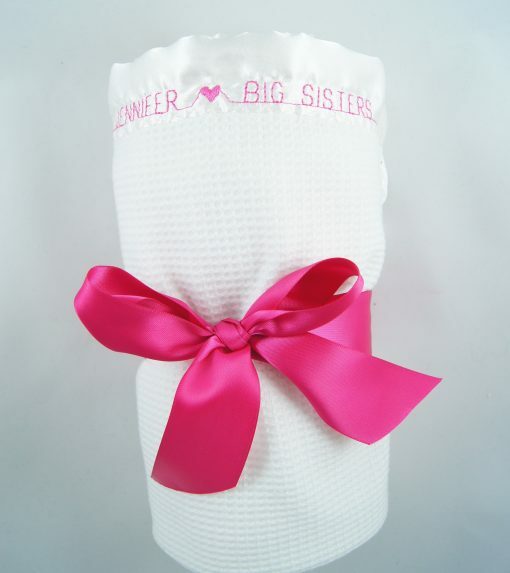 Delivery: Your personalized baby blanket will be folded and tied with a beautiful coordinating satin ribbon and placed in a organza gift bag with your personal message written on a gift card. No receipt will be included with your gift. Shipped via USPS priority mail and you should expect delivery 5-10 days after ordering.